There are countless options to choose from when considering firewall protection. Should you invest in an external firewall, stick with a virtual firewall or take the plunge with both? The firewalls listed here cater to most sizes of organisation, from small businesses that only require virtual firewalls to larger enterprises that should house external firewall hardware. With recent data breaches highlighting the importance of securing your network, IT Monteur Firewall Firm investigates the best firewalls on the market for every business’ first line of defence. on the most reliable platforms and are engineered to provide the highest levels of performance, stability and confidence. 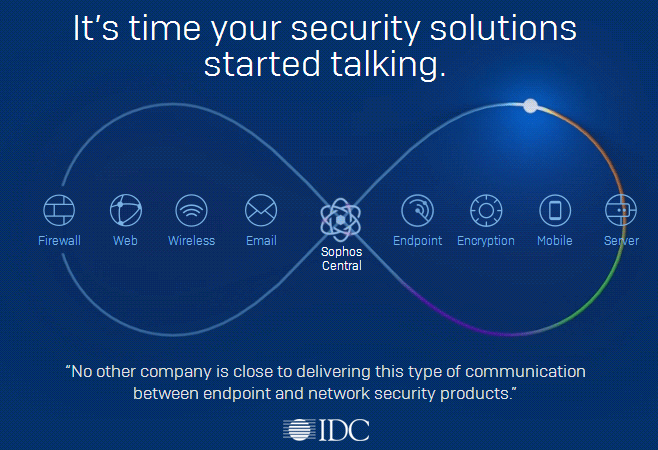 prevent even the most evasive threats. security simple, yet highly effective. offices. It combines high-performance intrusion prevention, malware blocking, content/URL filtering and application control. complete control over the users, content, and applications on their network. security subscriptions like Application Control and Intrusion Prevention Service. up to 1 Tbps performance for the data center. Our unique approach to network security focuses on bringing best-in-class, enterprise-grade security to any organization, regardless of size or technical expertise. Ideal for SMB, Midsize, and Distributed Enterprise organizations, our network security appliances are designed from the ground-up to focus on ease of deployment, use, and ongoing managing in addition to providing the highest security possible. Not only does WatchGuard offer the greatest collection of network security services on a single platform, we do so in a way that has proven to be the most agile, able to adapt to new and evolving threat vectors faster than any other solution on the market. We are a security company and we want the best protection for every customer, every time. As such, we strongly recommend the adoption of our full security suite. When running our Total Security Suite, our Firebox network security appliances offer the strongest security against network threats. However, every Firebox can be purchased as a standalone NGFW appliance as well, however, we never recommend the deployment of an NGFW without other security mechanisms in place. The best approach to security is a layered approach. Security solutions at IT Monteur is aimed to protect your business from hackers attack and other Internet threats. We aim at running your business smooth without any worry about securing your data. IT Monteur a Firewall Company in Delhi India, provides firewall software and hardware firewall to protect your data from any malicious attacks and unexpected crises. Firewall Software and Hardware Firewall solutions are both designed to block unauthorized access to computers in your network. A firewall software program is installed on each individual PC it’s meant to protect. To safeguard all your company’s computers, however, each one must have a software firewall installed. This can become expensive and difficult to maintain and support. But, a hardware-based firewall is easier to maintain and administer than individual software firewalls. It protect all the computers on your network. Our firewall security solutions is Combined network and physical security for a more comprehensive approach that meets your needs and that allows you to add integrated protection from hackers, spam, malicious websites, identity theft. we provide secure access to enable workers at home, at remote sites, or traveling to connect to your business safely and securely Secure storage that gives you the flexible capacity to protect and back up data, video, and images and also provide Physical protection to guard your business and your employees from theft, vandalism, and unlawful access. Firewalls, both hardware and software, protect computers from hackers and other online threats by blocking dangerous pieces of data from reaching the system. While hardware firewalls offer network-wide protection from external threats, software firewalls installed on individual computers can more closely inspect data, and can block specific programs from even sending data to the Internet. On networks with high security concerns, combining both kinds of firewalls provides a more complete safety net. Please Contact us for all type of Cyberoam Firewall , Quick Heal Terminator , Sonicwall , NetGenie , Juniper , Gajshield , Checkpoint , Websense , Bluecoat , Barracuda , Cisco Firewall, Watch Guard Firewall, Fortigate Firewall security solutions in Noida. We provide support for setup of Virtual Private Network ( VPN ), Branch Office VPN and VPN Management Services in Noida.